Dr. Huy Pham is a renowned pathologist in Birmingham, Alabama. He received his medical diploma from the Chicago Medical School at Rosalind Franklin University of Medicine and Science in 2009. After getting the medical diploma, he went to Columbia Presbyterian Medical Center and did an internship and a residency both in clinical pathology. He completed his medical education with a fellowship in research at New York Blood Center and New York-Presbyterian Hospital – Columbia University Medical Center. He is certified by the American Board in clinical pathology and blood banking/ transfusion medicine. 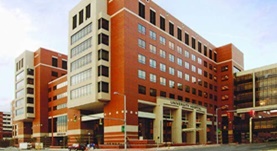 Currently, he is affiliated with the University of Alabama Hospital. In collaboration with other doctors, he published 32 articles. He also cooperates with other specialists of the medical group University Of Alabama Health Services Foundation. Dr. Huy Pham has contributed to 3 publications. Apheresis research-more abstracts should be published as full manuscripts to provide more evidence for clinical practice guidelines. Pham HP, Jiang N, Pan Z, Williams LA 3rd, Marques MB; J Clin Apher. 2016 Aug.
An update on ABO incompatible hematopoietic progenitor cell transplantation. Staley EM, Schwartz J, Pham HP; Transfus Apher Sci. 2016 Jun. Cryoprecipitate AHF vs. fibrinogen concentrates for fibrinogen replacement in acquired bleeding patients - an economic evaluation. Okerberg CK, Williams LA 3rd, Kilgore ML, Kim CH, Marques MB, Schwartz J, Pham HP; Vox Sang. 2016 Jun 1.